Leader Graeme Robertson (Scotland) driving from the 13th tee in the first round of the 2013 Irish Amateur Open Championship at The Royal Dublin Golf Club. 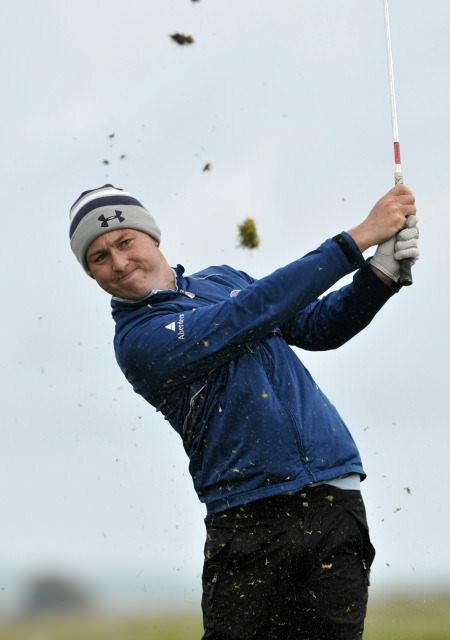 Picture by Pat Cashman Scotland’s Graeme Robertson may have had a hole-in-one in a 69 to grab a one-shot lead but the Golfing Union of Ireland was the big winner after the opening round of the Irish Amateur Open at a windswept Royal Dublin. Winds gusting up to 30mph would normally have led to an avalanche of complaints about the set up of a championship course. Traditionally, officials have conceded little to the field in terms of relief from the tyranny of the back tees on a course where the back nine has just one par-five and a driveable par-four and yet still measures close to 4,000 yards. How the course was set up. But given a series of unfortunate experiences in recent years where strong winds have sent scores soaring into the high eighties and well beyond, the GUI took steps to keep the course within the realms of sanity by pushing up 13 tees, reducing the 7,249 yard monster by 419 yards. The pace of play was brisk with 11-minute intervals between groups instead of the usual eight-minutes. 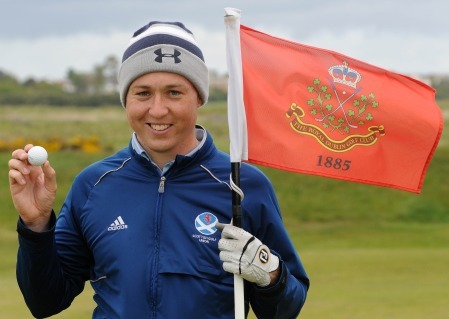 As a result, 10 players broke par in an average time of 4 hours and 33 minutes, headed by 26-year-old Scotland international Robertson, who holed a five iron for an ace at the 160 yard 12th — where the tee was moved up 51 yards — en route to a three under 69 and a one-stroke lead over Balbriggan’s Robbie Cannon and Castlerock’s Aaron Kearney. “I really have to congratulate the GUI because the got it spot on today,” said 34-year old former South of Ireland champion Cannon, who narrowly missed from eight feet for birdie at the 18th and a share of the lead in the last match on the course. On the European Tour they push up tees to add to the enterainment level for spectators. In the amateur game the decision not only sped up play, it made the championship more enjoyable for the 120-strong field of amateurs, most of whom have no ambitions to play professional golf. Despite the poor attendance from golf fans, there was plenty to cheer about. Leader Robertson, a 26-year old Eisenhower Cup player, reduced the downwind second to a drive an eight iron to set up an eagle three from eight feet. By day’s end he had another eagle to match it, holing in one for the first time in his life at the 160-yard 12th. Birdies at the fourth, ninth and 17th came with concessions to par at the seventh, 11th and 18th but the Scot was happy with his effort and the course set up. Casual spectator Shane Lowry, who had suffered many gruelling days in this championship, was pleasantly surprised by the set up. So too was Kearney, who was delighted with his 70. “Every year here it’s been an absolute slog of a golf course but it’s much more friendly this year,” said the 26-year old former international. Reigning South of Ireland champion Pat Murray, who was one of a host of player to criticise an overly exactly set-up in poor weather in this year’s West of Ireland qualifying rounds, was happy to give credit where credit was due. He shot a 71 that left him tied for fourth alongside last week’s Lytham Trophy runner up Jack Hume, Knock’s Nicky Grant, Claremorris’ Stephen Healy, Portmarnock’s James Fox, England’s Jamie Rutherford and Co. Louth’s Gareth Bohill. Rathsallagh talent Hume, an impressive runner up in last week’s Lytham Trophy, gave a pair of watching Walker Cup selectors another reason to seriously consider him for a spot in the side to face the Americans when he birdied three of the last four holes in the worst of the wind for a 71 to keep the leaders in his sights. ack Hume (Rathsallagh) driving from the 12th tee during the first round of the 2013 Irish Amateur Open Championship at The Royal Dublin Golf Club. Picture by Pat CashmanThe 19-year old, who won all four Boys provincial titles in 2010, had a remarkable round featuring eight birdies, seven bogeys and just three pars. “It was a bit of a crazy round,” said the 19-year old, who birdied the 15th, 16th and 18th. “Eight birdies and seven bogeys - it was a bit mad. I dropped a lot of careless shots, made two bad bogeys on the par-fives coming home from short distances. Defending champion Gavin Moynihan, who has played little golf this year as he prepares for his Leaving Cert and a move to the University of Alabama in Tuscaloosa on a golf scholarship, had to rely on his short game to limit the damage to a four over 76. “There was a lot of rusty out there,” said the talented 18-year old from The Island. “It was my first round of golf for a while. I could have shot anything today but scrambled really well considering I haven’t been practicising for three or four weeks. 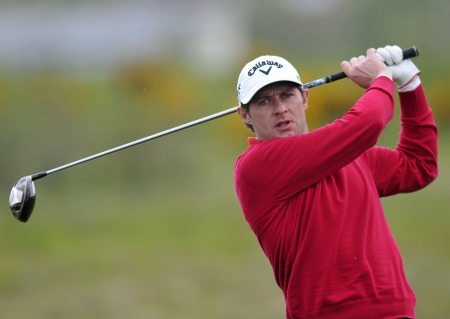 Special mention must also go to Moynihan’s 15 year old club mate Kevin Le Blanc, who shot a one over 73 with three bogeys and a double bogey on his card, to finish the day tied for 17th with the likes of England’s Neil Raymond and Headfort’s Rory McNamara, the reigning North and West of Ireland champion. 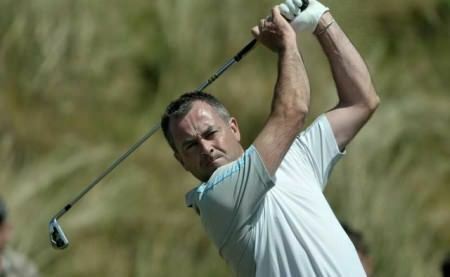 Two late bloomers are hoping to end Ireland’s seven-year wait for a home winner when the AIB sponsored Irish Amateur Open Championship gets underway at Royal Dublin today. Graeme Robertson celebrating his ace at the 12th. Picture by Pat CashmanThe course set up was the big winner on the opening day of the Irish Amateur Open at a windswept Royal Dublin. Rory McNamara (Headfort) driving at the 12th during the second round of the 2013 Irish Amateur Open Championship at The Royal Dublin Golf Club today (Saturday 11/06/2013). Picture by Pat Cashman1945 Rathsallagh’s Jack Hume believes that two level par rounds might be enough to win the Irish Amateur Open at Royal Dublin today and force his way into the reckoning for a Walker Cup call up. Robbie Cannon (Ballbriggan) driving at the 14th in the second round of the 2013 Irish Amateur Open Championship at The Royal Dublin Golf Club (Saturday 11/06/2013). 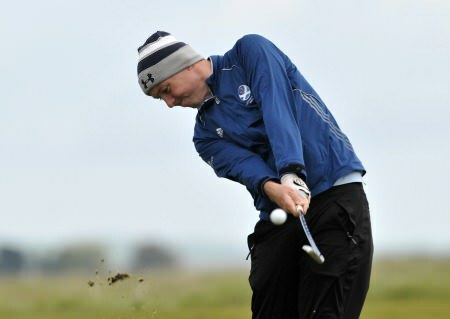 Picture by Pat CashmanSeven shots cover 43 players for today’s final 36 hole in the Irish Amateur Open at Royal Dublin. And given the unpredictablility of the Irish weather following the wind, rain, sun and hailstones that hit the field on Saturday, picking a winner looks all but impossible. Robbie Cannon (Balbriggan) driving at the 5th during the final round of the 2013 Irish Amateur Open Championship at The Royal Dublin Golf Club (Sunday 12/06/2013). 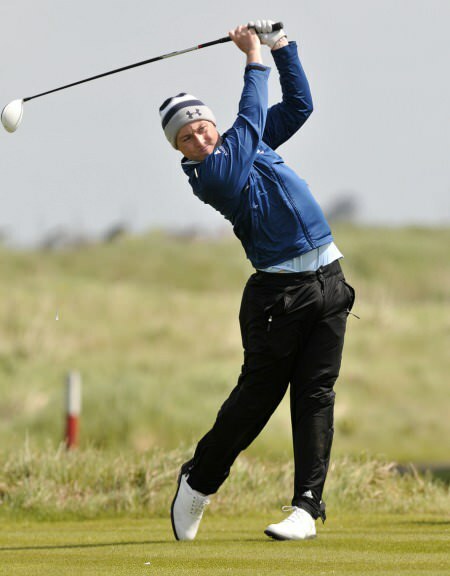 Picture by Pat CashmanBalbriggan’s Robbie Cannon proved the golf is sometimes a case of the survival of the fittest when he came through two gruelling rounds and four play-off holes to win a thrilling Irish Amateur Open at Royal Dublin.